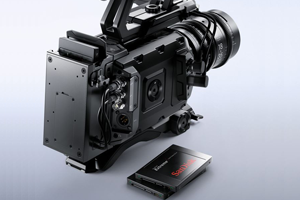 Blackmagic Design announce Camera 4.5 update which adds support for the new Blackmagic URSA Mini SSD recorder which records RAW or ProRes onto SSDs. This update improves SDI output latency to less than 1 frame for URSA Mini Pro as well as lowering LCD monitoring latency. This entry was posted in Cameras and tagged URSA Mini SSD Recorder, Blackmagic Camera 4.5 update, URSA Mini Pro, Blackmagic Camera Utility on 16th October 2017 by Visuals. This entry was posted in Cameras, News and tagged Blackmagic Design URSA Mini Pro, URSA Mini Pro, Cameras, Blackmagic Design on 3rd March 2017 by Visuals.